10% Discount on installation and Training for any solution from AIT Spatial's Eye-Range. Single use only. Just quote your Arboricultural Association membership number. Eye-TREE: More than a tree survey. With Eye-TREE you can manage, access and share tree and site related information, TPO, COSHH, Bats/Birds/Wildlife records, photographs, documents, etc. Manage your client's survey/maintenance data via an interactive map and give your clients access to their tree survey with notifications. 5% Discount on all ARBORtrack products. Arbortrack Systems Ltd are a group of arboricultural consultants, professional tree inspectors and QTRA advanced users with over 40 years experience in the Arb industry. Arbortrack has been subject to continual improvements and upgrades over the last 25 years, with over 600 Users worldwide. Arbortrack Web is the only tree and vegetation management software in the UK that operates in a live real-time environment. Designed by Arboriculturalists for Arboriculturalists for use in the office via the web browser, or in the field using either Android or IOS. This all-inclusive system includes a Surveyor and Contractor module to simplify field use. Tree inventory data can be gathered in live or cached mode, utilising GPS, aerial photography and built in camera. 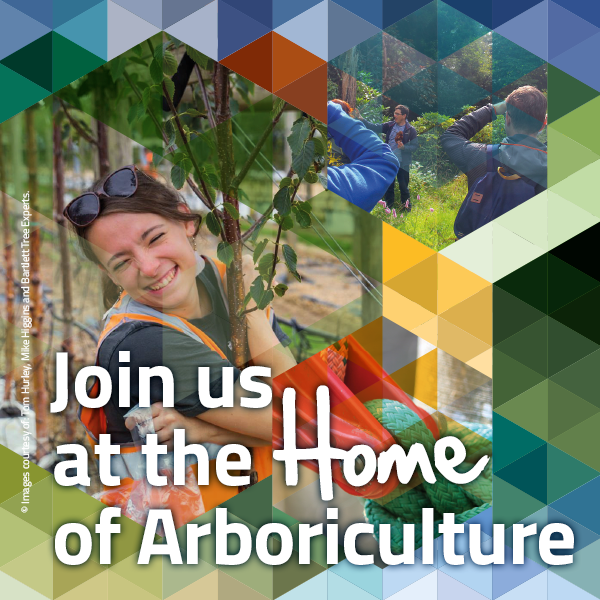 We offer a 5% discount to all Arb Association Members. We can provide members with access to our desktop version and mobile apps to help improve daily business efficiency. If you want to find out more go along to our website or get in touch for an informal chat 02380 847286. Arb Pro is a Customer relationship management (CRM) tool for Tree Contractors in business. Arb Pro provides all the tools you need to help streamline your business and make every day management more efficient. Managing Quotations, invoices, tools, risk assessment and so much more is possible. Our mobile apps make quoting for work and managing booked work paperless and simple! Bluesky’s National Tree Map™ is a fantastic resource for anyone whose remit is to manage trees or monitor tree canopies. National tree database with locations, heights and canopy sizes. Created using multiple geographic datasets including aerial imagery & height data. Easy integration with your software. Excellent for pre-site visit screening. Not as expensive as you might think. 5% Discount on all software products. ZWCAD - A cost-effective light-weight CAD platform with .dwg compatibility for drafting and drawing. EDA Arboricultural - Tree schedules quickly recorded onto Site Survey CAD drawing to BS5837. Simple to use and produces professional looking textual and graphical reports. KaarbonTech offer a 5% Discount on the annual subscription costs of Tree Smart Arb package to any Arb Association members. The KaarbonTech tree inspection and management system, Tree SMART enables users to record and access data for both individual and groups of trees using Android and iOS devices. Tree SMART meets the BS5837 standard. The ability to easily export and share data improves performance monitoring and helps meet performance targets. KeyTREE, the tree survey software, allows you to create BS5837-compliant tree surveys. It makes it easy for you to work with surveyors’ drawings, collaborate with your design partners and issue drawings to your clients. It is available as an add-on to full copies of AutoCAD. AA members a 10% Discount on hire and servicing. At Orange Plant we specialise in sale, hire, servicing and parts for wood chippers, stump grinders and firewood processors. We’ve also expanded into the sale and hire of multi-attachment pivot steer loaders with the Avant series that has over 150 attachments available. We’re dedicated to providing the highest quality arboricultural advice to our customers on the purchase, hire or maintenance of the best machine for you. We can service and supply machinery for anyone from local councils and tree surgeons to landscapers, farmers and personal users. As authorised Forst, Carlton, Hakki Pilke and Avant distributors, our new and used machines range from pedestrian to 2.6 tonne tracked so we’ll always have something to suit your needs. You’ll also never have to travel far to get great service with our eight nationally operating depots from Glasgow to Plymouth and tailored delivery and collection services. Our team of expert technicians maintain our machinery to the highest standard and we can do the same for you with on/off site servicing for any brand of machine, complemented by our comprehensive parts store. 5% off whole product range. Five page website package for Arboricultural Association Members for only £179 +VAT. All websites are professionally built and managed for you and you receive unlimited content changes. Free site surveys and traffic management advice for AA members for works on or adjacent to public highways. Specialist traffic light hire, traffic management, auto(remote) stop/go boards and training services. 5% Discount on all products and training. Suppliers of Diagnostics, Testing and Measuring Equipment for trees, timber and wood.